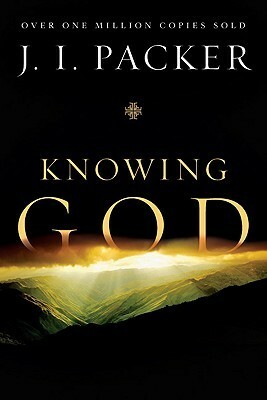 I have just finished reading Knowing God by J. I. Packer. It has blessed me more than I can aptly describe. As I sit to share my thoughts, however, I am aware that the points brought out in the pages of this book go against much of the teaching I received. Because of that, I feel sure that few, if any, of my Christian-Baptist friends, will read this book. I grew up being taught that if it wasn’t written by a Baptist, then it was inaccurate; if it quoted anything but the KJV, then it was of the devil. Such foolish thinking, and let me say, so very hard to change. Going against the grain of legalistic believers, most of whom I love with all my heart, has the been the greatest challenge to which God has called me. And yes, it has to be God Who has broken the stronghold of my own will, my own thoughts, and my own ideas. Until the Lord shattered my world with His own Word, I was following in lock-step with the very ones from whom I now depart. I can say sincerely that I am thankful for having been raised with a respect for God and the Bible, and I am comforted that God has used all of my life experiences to mold me according to His plan. His sovereignty over my life brings me immeasurable comfort. If your past (or present) is like my past, I doubt you will want to this book, and yet, you are the one who will be blessed the most by it. It will draw you closer to God, or reveal to you that in fact, you do not even know Him at all. It will convict you, encourage you, and maybe even astound you. This first section takes you on a theological journey of sorts as you become familiar with the God of the Bible. The most gripping comment which I noted from this section was from page 42. Packer is discussing how mankind tries to think of God: “At best, they can only think of God in the image of man – as an ideal man, perhaps, or a super-man. But God is not any sort of man. We were made in His image, but we must not think of Him as existing in ours. To think of God in such terms is to be ignorant of Him, not to know Him.” These words were shocking to me. Let’s be honest, no one wants to believe that God is not like man. After all, if God is not like us, then we are quite wrong on many fronts, especially those relating to ministry. I was taught (intentionally or not, I do not know, but nevertheless, this was my perception) to view the pastor as a demigod: If I upset or displeased the pastor, then I was likewise displeasing God. As I now try to free myself from this false thinking, I find myself almost leaping too far the other way. I willingly attest that, in most cases, this proves harmless. But in its extreme, it can wreck lives. For an example, please notice First Baptist Church of Hammond, Indiana, and Hyles-Anderson College, following the accusations of the infidelity of pastor Jack Hyles, and the immoral and illegal behavior of his son-in-law and successor, Jack Schaap. Many blindly followed these leaders, and ignored their sinful actions, believing them to be in “God’s stead”. This led to great harm and loss. There is far more to add from this section, especially from the chapters about the grace of God and the wrath of God, but I would like to leave some treasures for you to discover, should you decide to study this wonderful book. Page 207 contains the secret to the Christian life – but I’ll let you read that for yourself. And there is so much more. I have highlighted and meditated on more passages than I can share here, and I shall try to go back through this book again, for I am certain it can be mined many times and great riches uncovered. This book is replete with biblical passages and profound preaching and yet written in a smooth style. Knowing God is guaranteed to change or encourage you. Or both. I remember reading this book in college, and that it was full of some great teaching. Its been so long now, that I think I want/need to read it again. Thanks for sharing. I'm Valerie! Thanks for dropping by my online home. I'm a pastor's wife, mom, bookworm, history lover, and writer. You can find out more about me by clicking that "About" tab at the top, or by reading any of these blog posts. I write about theology, books, and my life as a mom. I know there are millions of places you can go online these days, so I count it an honor to have you here. Thank you! Follow me - it's free! Never miss a post! I'll come straight to your inbox. Just some thoughts. . . If you find any broken links or have any other issues with this website, please let me know using the Contact tab at the top of the page. Thank you for visiting, and for your help!